Many years, we have worked in the countertop market in NYC. Long Island has always had a special place for us. Having worked in the Nassau and Suffolk County we know the latest trends occurring in Long Island. One of the most popular stones used is Quartz. This one of kind stone comes with a lot of questions. Can it be buffed or honed? How do you get an estimate of one’s countertop, and at the end of the day what is better – Quartz or Marble? Marble and Quartz are two stones that have been fighting for being number one in the market. With fans on both sides, you will always hear one of the sides talk bad about the other, but is there one stone that is truly superior to the other? The answer lies in personal taste. Marble, unlike Quartz, is a natural stone harvested from mother earth. This means marble is a unique stone, each sheet stands out and won’t have another copy of it. Marble is most famous for its veining. On the other hand, Quartz is an engineered stone and is regarded as the most durable material for your countertop. Let dive deeper and see the Pros and Cons of both of them. ● Marble: Marble, known for being an Elegant-like slab will leave you in awe when looking at it. -Adds real estate value for your house. -Some chemicals will damage the finish. ● Quartz: Also known as Mr. Durability is definitely a stone for those of you don’t like maintenance. -Consistent in color and pattern. -Easier to maintain than Marble. -Emits little to no radon. -Heavier and more difficult to install. -Labor for installation costs slightly more than Marble. Marble countertops are part of the definition of luxury in a home. They are made from raw, natural marble that has been quarried, sliced, water blasted, buffed, and polished into the shining slabs available in countertop distributors’ showrooms. Quartz countertops, on the other hand, are engineered stone. They are composed of ground natural quartz with polymers, resins, and pigments, and our at a ratio of anywhere from 93 to 97 percent quartz to 7 to 3 percent synthetic materials. This combination gives them a clean, polished appearance. -Low-quality quartz: $50 to $60 per square foot. -Mid-quality quartz: $60 to $70 per square foot. -High-quality quartz: $70 to $100 per square foot. 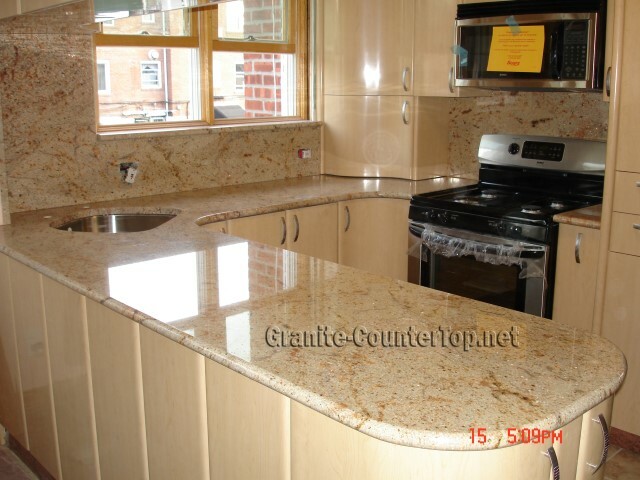 Another aspect of the estimation lies in the installation of the countertop itself. The average range for this part is $150-$280 per square feet. -25 ft.² at a low price level with a bullnose edge: $1,490. -45 ft.² at a low price level with a half-bullnose edge: $2,490. -30 ft.² at a medium price level with an eased edge: $2,250. -35 ft.² at a medium price level with a beveled edge: $2,865. -40 ft.² at a high price level with a bullnose edge: $4,240. -50 ft.² at a high price level with an ogee edge: $5,480. 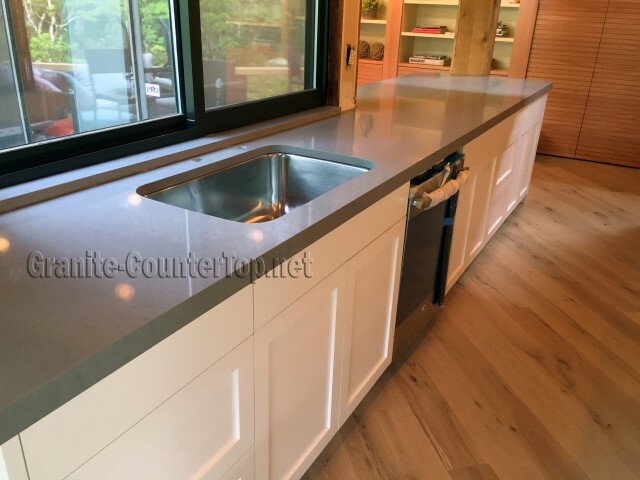 We get many questions about quartz countertops. Many of them revolve around buffering and honing the worktop itself -these are all unique aspects of a Quartz countertops. The answer is yes, you can buffer your quartz countertop in a few simple steps. ● Step 1: Dampen a sponge and add a quarter-sized amount of quartz cleaner to the center. Wipe down the surface area of the countertop with the sponge as this will remove any build-up and make buffering easier. ● Step 2: Spray the countertop with clean warm water and a soft cloth. Blot the cloth on top of the counter to remove the moisture. ● Step 3: Rub a soft cloth back and forth across the surface of your worktop. Continue this until you’ve buffered the entire area. As for honing that is more than possible with a Quartz countertop. It does take some time and is considered a process, but it can be achieved. 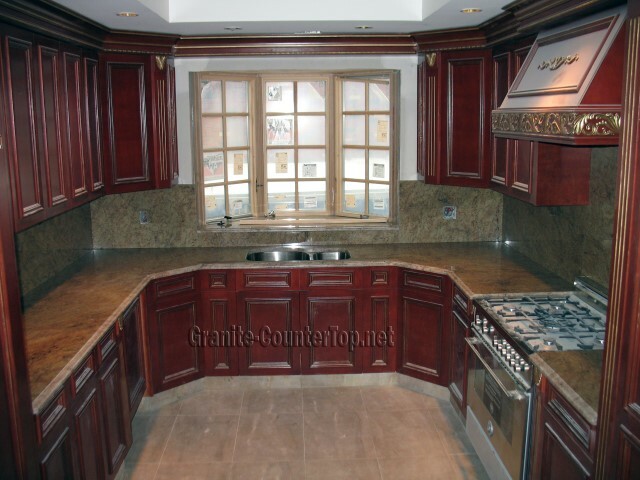 Another question we usually get is the what is shinier, Quartz countertop or Granite. While Granite is usually more shiner than Quartz, with a little help of polishing you can make your Quartz look just as new and shiny. What do you think of Quartz slabs? Is it an investment you would have for your home?